North-east rowing star Dame Katherine Grainger was among those honoured during a graduation event at a city university. Joining graduates at yesterday’s University of Aberdeen ceremony was Olympian Dame Katherine, who received the honorary award of DHC (Doctor Honoris Causa). Great Britain’s most successful female athlete, she is the only female to have won medals at five consecutive Olympic Games, rounding off her career with a silver medal in Rio in the double sculls. 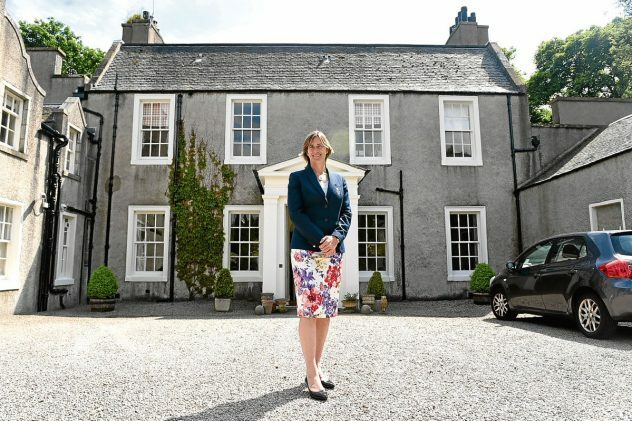 Although born in Glasgow, Dame Katherine has close ties with the North-east, training in the area as her family lived in Maryculter. Dame Katherine, herself an academic with a PhD from University of London, said: “It’s fantastic, I’m very pleased. My mum graduated here 50 years ago, my big sister 21 years ago and I feel I get to add to the family graduations from Aberdeen University which I never thought I would, so it’s lovely. “It’s a genuine honour, because it’s one you don’t expect, so it’s a big, big deal to be asked back. For me, one of the massive benefits of sport is being able to pass on the passion I have for it to other people. “So getting to do it through charities, or doing it through schools, or through universities, that’s a big spin-off you don’t expect to get as an athlete. “You don’t expect to see that side of it until you get asked to go and give something back. “It’s a really big deal, I’m such a strong believer in education anyway, my parents are both teachers, my sister’s a teacher. It’s always lovely to come back to universities, especially one that means so much. Dame Katherine will be starting her new post as Chair of UK sport in July.